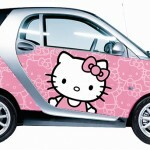 When I first came across the Hello Kitty-themed tires, my immediate thought was, the Smart fortwo in Hello Kitty wrap could use these tires. 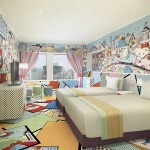 After all, if you want to complete the look, why not go all the way? 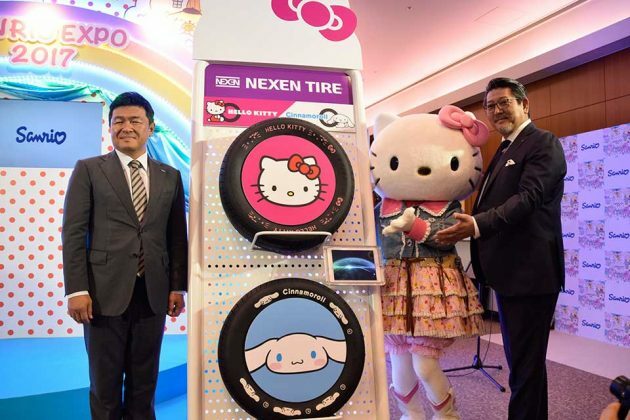 I mean, if you could wrap your tires, you probably would, but since you can’t, this collaboration between Korea-based Nexen Tire and Sanrio Inc. could be your best bet for the complete mouthless kitty cat-themed automobile. 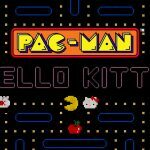 Wait, is she a cat? Never mind… Anyways, the tires are real and so are Kitty’s compatriot, Cinnamoroll-themed tires. Yup. There’s not one, but two Sanrio characters put onto Nexen’s tires. Two! Don’t you just love options? 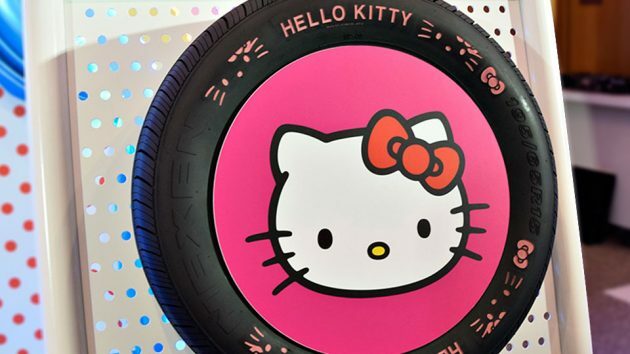 Nexen Tire x Hello Kitty automobile tires is the world’s first automobile tire to feature the world famous cat. Officially, that is. 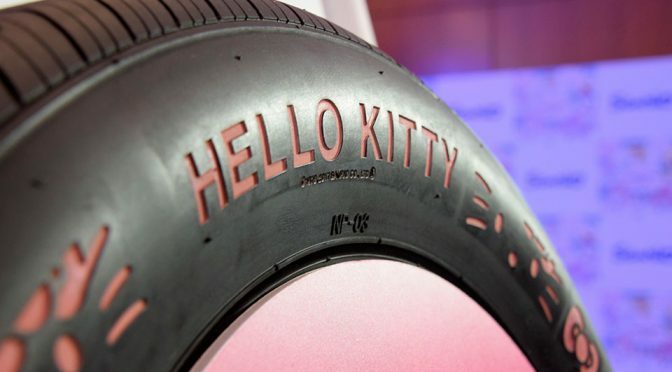 As you can see from the images posted here, you won’t be getting Hello Kitty pink tires (what a bummer!). 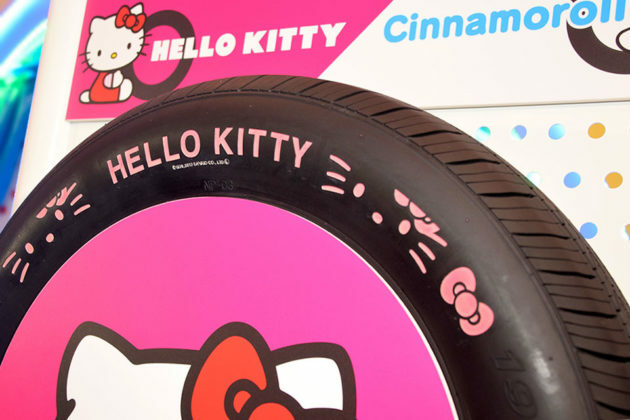 Instead, it is the usual black rubber with each tire’s sidewall boasting Hello Kitty branding, in pink, obviously, comprising of Kitty’s bow, lettering, and an images detailing the character’s whiskers, eyes and nose. Nope. No mouth, cos’ she does not have one. Similar treatment is found on the Cinnamoroll version, except it is in a more gender-neutral white. Not surprisingly, the tires will only available in Japan first, with sale expected to start in summer 2018. Fans outside of Japan need not fret though, according to official words, global release is imminent, the question is, “when?” Then again, there’s really nothing to fret about cos’ I am sure there are companies out there who can do transfers to recreate the same effect. Just that it won’t be as original, plus the transfers will be overlaid on the tire’s existing details, like branding and such, which will not be exactly the prettiest sight. 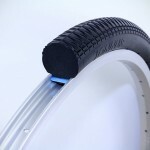 Images: Nexen Tire Japan/Auto Messe Web. 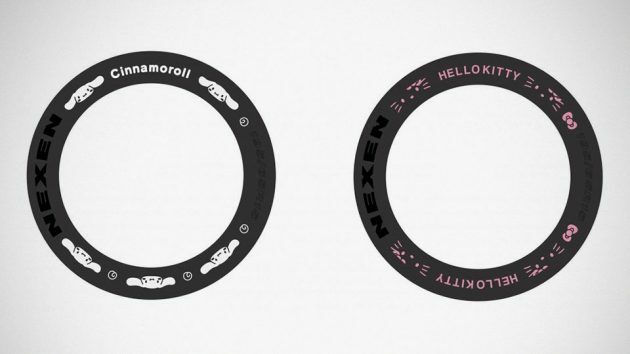 Nexen Tire Japan via Jalopnik.